DT’s Darts Darling feature reports are undoubtedly one of our most popular. In this report we’re happy to introduce you to yet another formidable darts player – the lovely Miss Lek. Although Lek has a bright bubbly personality she is basically a diminutive, soft-spoken – on the shy side kind of gal until she steps up to the oche. Then she transforms into a no-nonsense, aggressive, skilled competitor. She definitely lets her darts do her talking. Lek works in the travel industry – not surprising with her multilingual skills and many times she works as a tour guide. Even with her busy schedule she somehow finds time to to pursue her passion for darts. It’s always a pleasure to see her when she pops in for a game or two and listen to her colorful rendition of how she views the world around her. You may notice Miss Lek wearing high heel shoes. A frequent comment we get at DT is – okay, these gals may pose in these shoes for photos but surely they don’t actually play darts wearing such footwear. No, not as a rule but the truth is that it is not at all unusual to see a gal playing darts wearing heals – and also playing well. Although I’ve seen this for years so I no longer see it as unusual – it still amazes me. Special thanks to Tim for this Darts Darling photo shoot. He is not only a skilled photographer that always delivers but also – the same can be said about his darts. The other so-called photographer we had assigned to this shoot (who will remain nameless) somehow goofed up his file transfer and who knows if he will ever locate his pics. Good help is so hard to find these days. 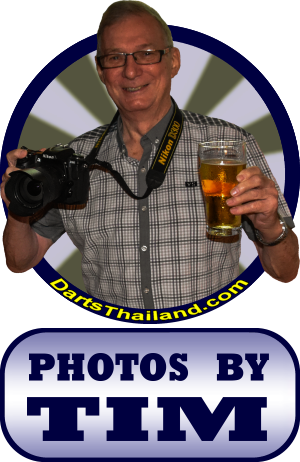 On behalf of DT – I would like to personally thank all of its contributors who give of their time to provide you the readers a better in-depth personal view of our darts world here in the Kingdom of Thailand. Although we may not be one of the top nations known for darts – we are certainly one of the top – if not number one – that is visited by so many dart players from around the globe. It’s always great to see so many regular visitors as well as meet so many new players at our darts oches. For any of you reading this who have never had an opportunity to visit Thailand – remember this. 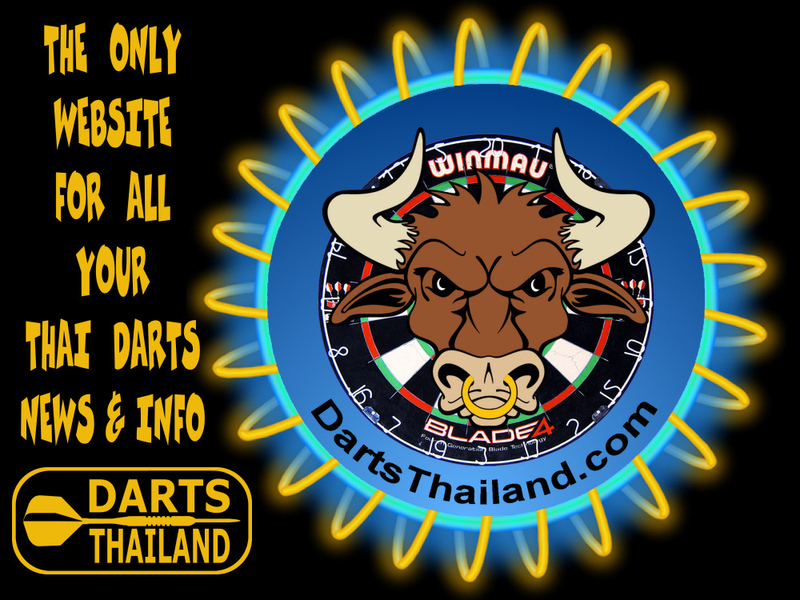 If you have the chance to visit Thailand be it on holiday or on business be sure and pack your darts. But remember only in checked baggage and never in carry-on. 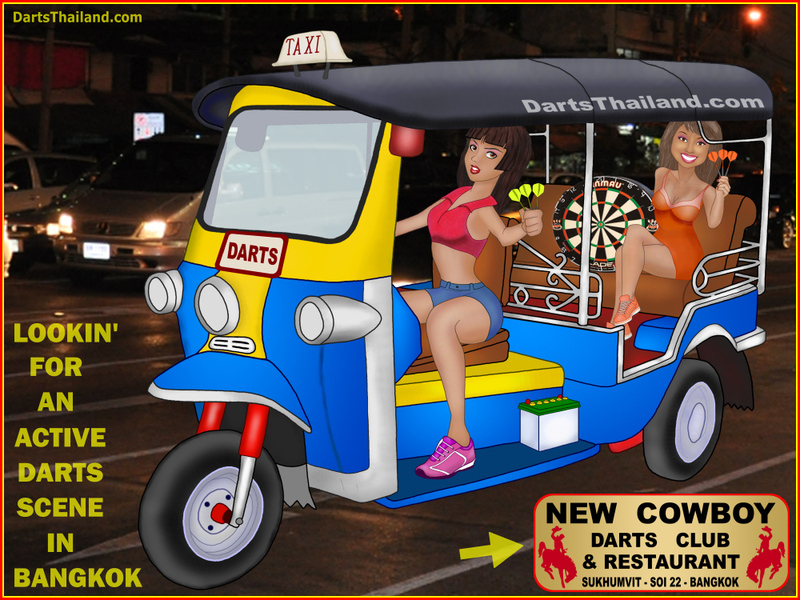 All of Thailand’s major travel destinations have an active darts scene. We can put you in contact with a darts local who can guide you to the darts action. 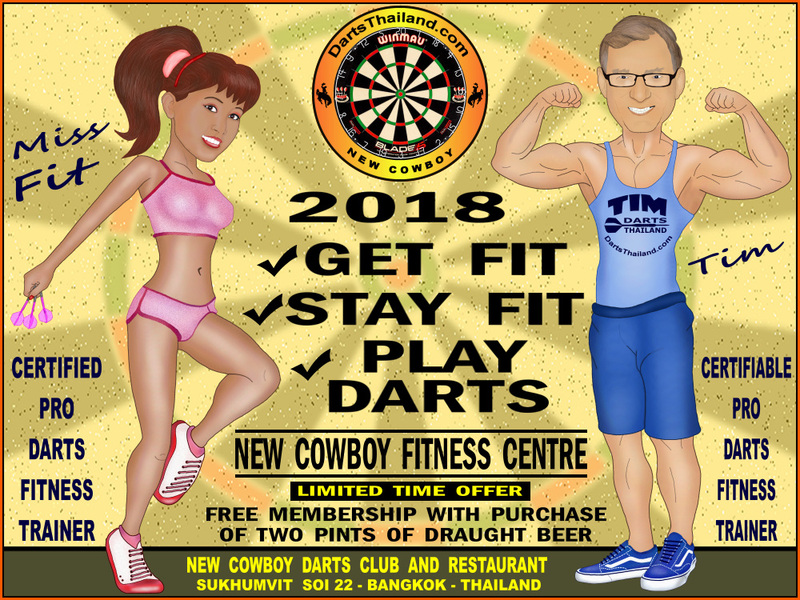 DT is located in Bangkok and we can do the same as well as accommodate any friendly darts challenge match – regardless of number of players or skill level. Also for you soft-tip players – our number of soft-tip darts venues has really been increasing over the past few years.